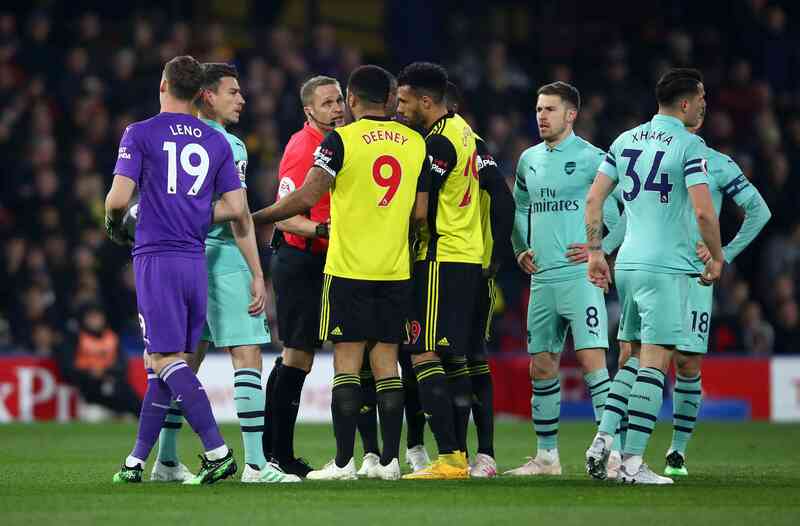 Watford captain Deeney was sent off for elbowing Lucas Torreira in the 11th minute at Vicarage Road less than a minute after his side went 1-0 down. The Hornets beat Arsenal 2-1 last season thanks to a late Tom Cleverley goal. After the game Deeney appeared on BT Sport and said the Gunners lacked “cojones”. 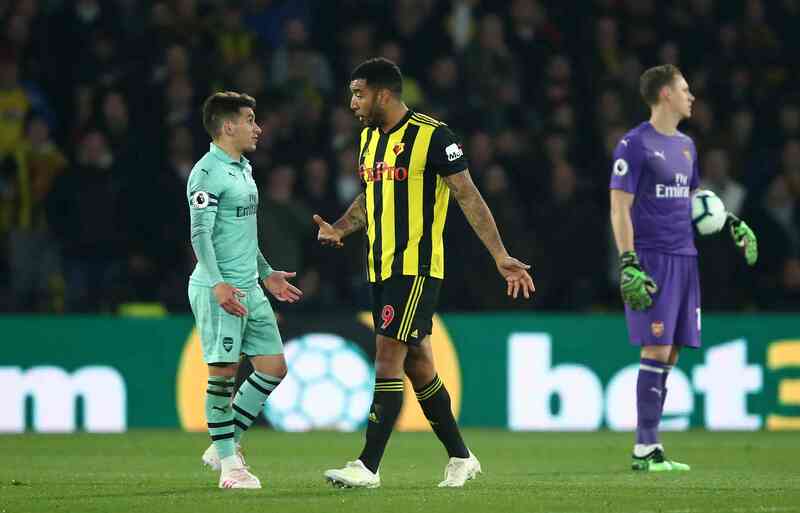 “I’m not going to be one to tell Mr (Arsene) Wenger about himself, but there’s a reason that they lost and it wasn’t because of one penalty,” Deeney said. Some Arsenal fans on Twitter wasted no time in reminding Deeney of those words.